This photo was taken on December 26, 2015 at 9:35 AM. The location was in the lobby of a modestly priced hotel in Arlington, Virginia. The "Take It!" came after having looked at this simple cross section slice of a tree limb that had bark removed, all surfaces sanded smooth, and a clear finish applied for a number of months. The rings of the tree and the outer edge are somewhat irregular, but not enough so to relegate it into being a stand alone show piece. It has just the right amount of center surface to allow it to an accent under liner for what ever needs a little highlighting on the presented service on the table. 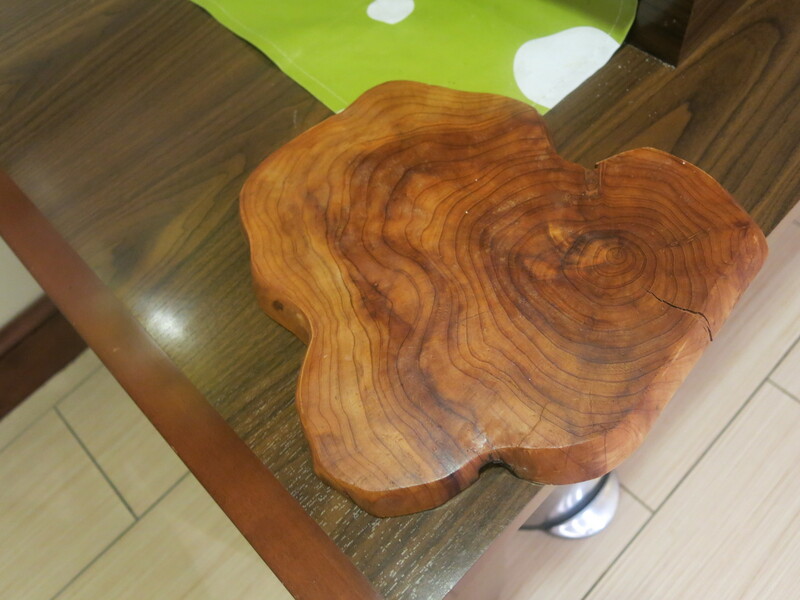 The After Take: I plan to make up a number of similar slices to use at home for whatever presentation can use a little supplement - taken from a bit of nature that likes to show its age*. Enjoy your age, no matter what it may be. 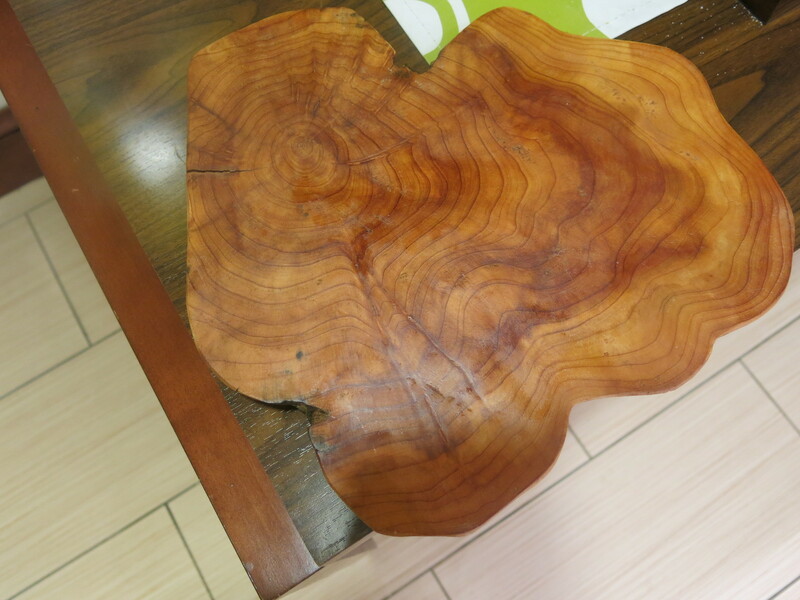 *The featured slice of wood has a distinct contrast in color between the heart and the outer part of the section. The change in color is marked with clear ring, which is one of many, showing the age of the tree. That looks like a section of that table you posted on the site a couple months ago. What a beautiful finish! My husbands company works with wood, and I'd love to see this in our workshops. You know I always used to fear growing old, but I have found I enjoy my age more and more as I get older. I am by no means a young woman anymore, however I am fine with it. I am better for it. What a great cut of wood. The polish on it looks great. This gave us a fun little project for our kids. We asked them to figure out how old the tree is by doing the age old, "count the rings" trick.